Athletes suffer from some of the most common sports injuries. They can either be overuse injuries such as shin splints or compartment syndromes or can occur suddenly for example muscles strains. 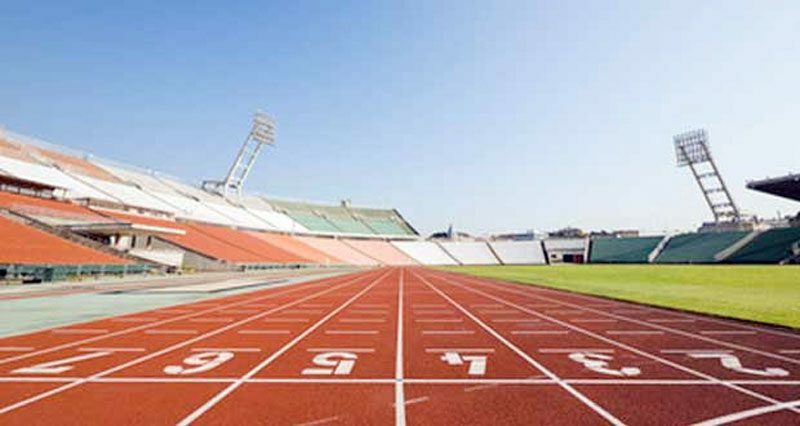 Most track and field injuries are ‘internal’ injuries meaning they occur within the body itself rather than from external contact with another athlete or player as in many contact sports. Here we explain some of the more common athletic injuries. Muscles strains are common in sprints events, particularly hamstring strain, groin strains, and calf strains. Sprinters are always pushing the limits of speed and often training as close to the fine line of injury as possible. Injury risk can be mitigated by proper warm-up which includes dynamic stretching and strength and conditioning. Shin pain (shin splints) is also a common complaint which is often caused by overuse, running on toes as sprinters do and running on hard surfaces such as running tracks. Jumpers incur huge forces through the lower back and knee during take off. Patella tendinitis, known as ‘jumpers knee’ is an overuse injury to the front of the knee. Hamstring strains, groin strains, and back injuries are also common. Injury risk can be reduced by proper warm-up and conditioning to strengthen muscles and avoid muscle imbalances. Overtraining is probably the most common cause of injury and athletes must ensure they have sufficient recovery between training session. Learn to listen to your body and rest if a niggle is detected as a chronic overuse injury can be difficult to cure. Throwing involves high stresses on the lower back and shoulder joint. Rotator cuff injuries are common particularly in the Javelin, often due to the rapid deceleration of the arm once the implement has been released. A rotator cuff strain is a tear to any of the four rotator cuff muscles in the shoulder and is common in throwing and racket sports. They are so called because their job is to rotate the arm at the shoulder and provide a supportive cuff around the joint. Treatment consists of reducing pain and inflammation followed by a full rehabilitation program consisting of mobility, strengthening and sports specific exercises. Read more on the treatment and rehabilitation of rotator cuff strain. Back pain is also common in the shot, discus and Javelin because of the combination of extension (bending backward) and twisting at the same time. Muscle imbalances can build up and over time lumbar disc problems can occur. Correct warm up and conditioning can help mitigate the risk of injury. Throwing a number of times with the wrong arm can help prevent muscle imbalances. Read more on lower back pain treatment. Plantar fasciitis is probably the most common cause of heel pain. Symptoms come on gradually and are often worse first thing in the morning. The plantar fascia is the tissue under the foot which forms the arch. Treatment includes rest, reducing pain and inflammation and stretching exercises. Read more on symptoms and treatment of Plantar fasciitis. A bruised heel is also known and Policeman’s heel is a contusion or bruising to the tissues under the heel causing pain. Treatment includes rest and protecting the area with padding or taping as well as identifying potential causes and rectifying them. Symptoms consist of pain under the heel bone which usually comes on gradually, although can result instantly from jumping onto the heels from a height. Read more on bruised heel treatment. IT band syndrome or runners knee as it is sometimes called is a gradual onset injury causing pain on the outside of the knee. Over time the pain gets progressively worse until the player must stop. Typically they will rest for a period of time until symptoms go only for it to return again as soon as they go back to playing tennis or running. Treatment is based around reducing the pain and inflammation along with stretching, foam roller use and strengthening exercises. Read more about IT band syndrome. Patellofemoral pain syndrome (PFPS) also known as runners knee, chondromalacia patellae is a generic term used to describe kneecap pain at the front of the knee. Symptoms include an aching pain in the knee joint, particularly at the front of the knee around and under the patella. Treatment includes rest, applying ice or cold therapy to reduce pain and inflammation along with a full rehabilitation program of specific exercises along with knee taping. Read more on patella pain treatment.